How would you celebrate cultural diversity? We just successfully ended our crowdfunding campaign and we want to thank the 87 backers who contributed with a total of 5.755 euro. 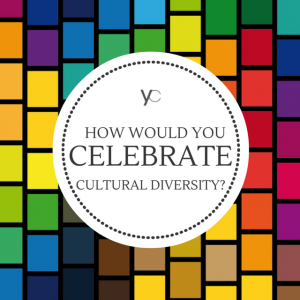 Now that the celebration starts, we would like to know from you: how would you celebrate cultural diversity? From the craziest idea to the most conservative one, from wearing the colors of diversity to organizing a festival – how would you do it? Just write your ideas in the comments below and share with us your dream of a tolerant world! Geschenke für MitarbeiterInnen Geschenke mit Sinn. A migrant’s role in society. A Bulgarian perspective.